“Go ahead and call me a coward and say I’m not strong, Because I’m not like you,” goes the first stanza of the song I’m sorry by Joyner Lucas. 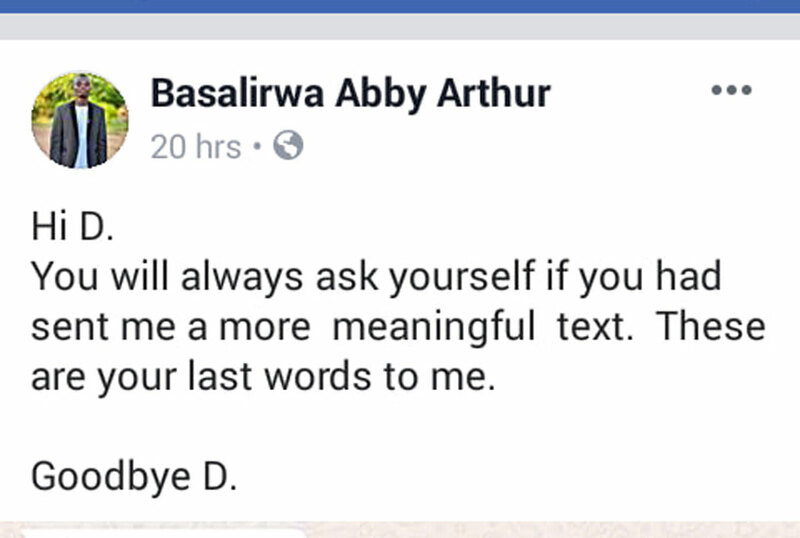 This was Arthur Basalirwa’s last message to his followers on Facebook at 1:26 pm yesterday. 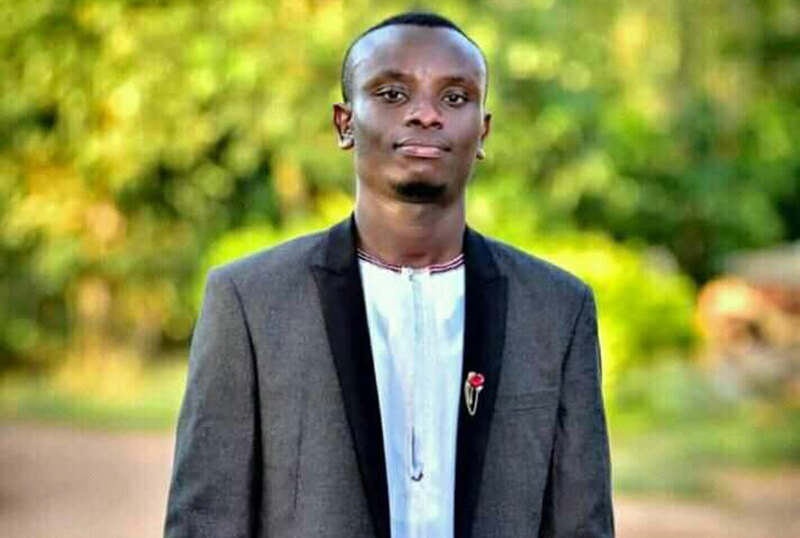 Two hours later at 3:06pm, Basalirwa, a former student of Makerere University Business school posted a screenshot from a WhatsApp chat, this time dedicated to a one ‘D” and it read: “Hi D.
Unfortunately, we too do not have an answer for Tracy, just like a one Nase Avata, who is appalled by the fact that the deceased’s friends did not notice that something was not right. With all the tributes coming through his legacy Facebook account, a post bt a one Shamim Nagawa is a sign that Basalirwa had for long dealt with suicidal thoughts. 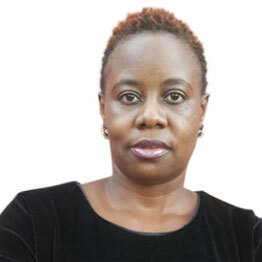 Nagawa reminisced a time in 2017 when she saw similar posts from the deceased and showed concern. We condole with Basalirwa’s family. And to all the youth out there going through a rough time, please seek help, talk to a friend. You are never alone!